NEW YORK -- A program to put a dietitian group's "Kids Eat Right" logo on Kraft Singles has reached an early expiration date. Kraft Foods and the Academy of Nutrition and Dietetics decided to end the partnership because "misperceptions are overshadowing the campaign," Kraft said in a statement. The decision comes after a petition by dietitians called for an end to the partnership, saying putting the logo on packages amounted to an endorsement of the cheese product. 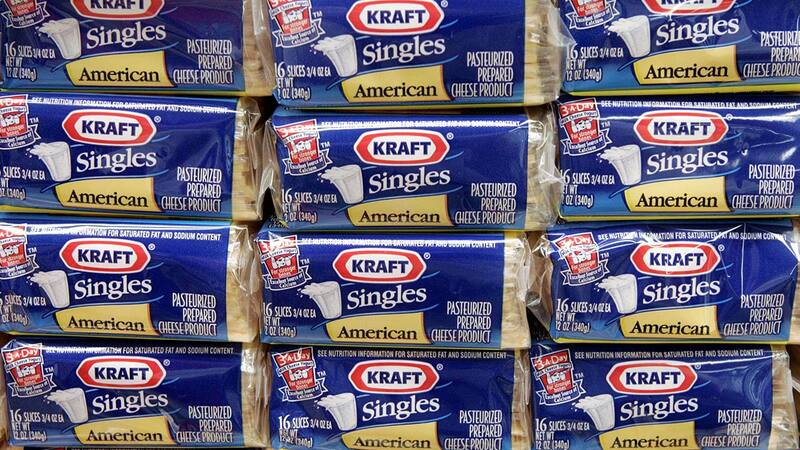 The petition also called for transparency about the terms of the deal that allowed Kraft to use the logo. Kraft and the Academy of Nutrition and Dietetics said their partnership was intended to raise awareness about inadequate calcium intake and vitamin D deficiency in kids. Kraft did not disclose how much it gave to the academy as part of the deal. Jody Moore, a spokeswoman for Kraft, said the company and academy are still working out the details of ending their three-year agreement, which would have included a website and other to-be-determined elements. "That collaboration is not going to be happening," Moore said. The logo is nevertheless set to start appearing on products this week and will likely remain on shelves until at least July because some packaging has already been manufactured, she said. Moore declined to say whether Kraft would still give money to the professional group. A spokesman for the Academy of Nutrition and Dietetics, which has more than 75,000 members, declined to comment. In a letter sent to members on Monday, however, academy President Sonja Connor said the group "deeply regrets the circumstances that have led to the pending termination of this initiative." "This pilot initiative was never intended to be an official Academy endorsement of a particular product, which is strictly prohibited by our policy and is expressly included in all contracts," the letter said. The letter also said that the board is taking steps to avoid a similar situation in the future. The issue gained attention after a story earlier this month by The New York Times on the partnership. Kate Geagan, one of the dietitians who started a petition on Change.org to protest the deal, said that despite what the academy said, the logo on the product would be perceived as an endorsement by the group, which could cause confusion for shoppers looking for healthy options. "I'm a mom - I know how hard it is," she said. Andy Bellatti, one of the founders of Dietitians for Professional Integrity, which has criticized the academy's corporate ties, said he thinks the Kraft deal provoked a strong reaction in part because it involved children's diets. "Whenever children are thrown into the mix, it tends to get people more riled up," Bellatti said.